These days architects are putting more effort into creating some very exciting designs for apartment buildings. The Canopy Skyscraper In Honk Kong is a residential tower dressed in a 360 degree glass facade designed by Boutique Design. The main approach into building this amazing skyscraper was to blur the boundary between the modern interior spaces and the dramatic natural landscapes surrounding the metropolis. 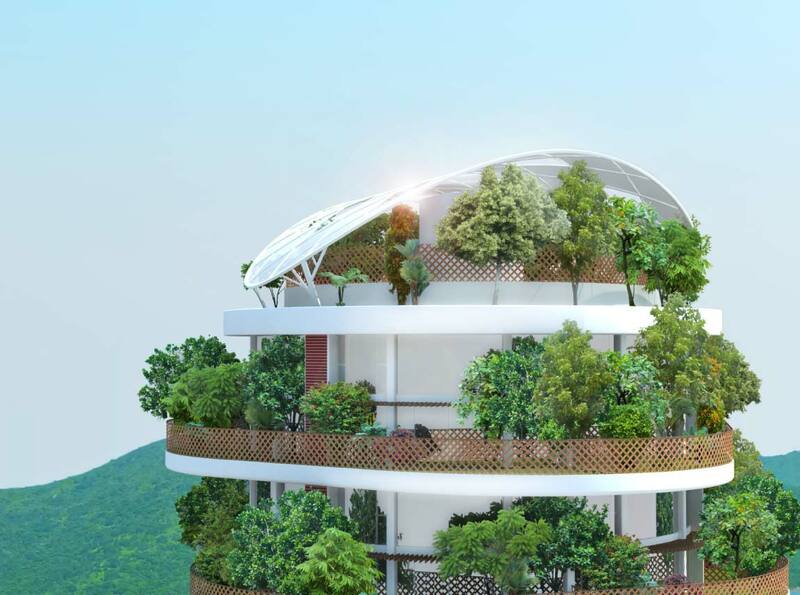 Including 54 apartments , The Canopy Skyscraper In Honk Kong features compact rooms with natural lighting and personal balcony gardens planted with grass and trees. Yes, you heard right, balcony gardens, you have your own piece of nature right there with you, offering you a little bit of fresh air. So let’s get to it and see The Canopy Skyscraper In Honk Kong ! Yes, as I told you, nature brought to your balcony! 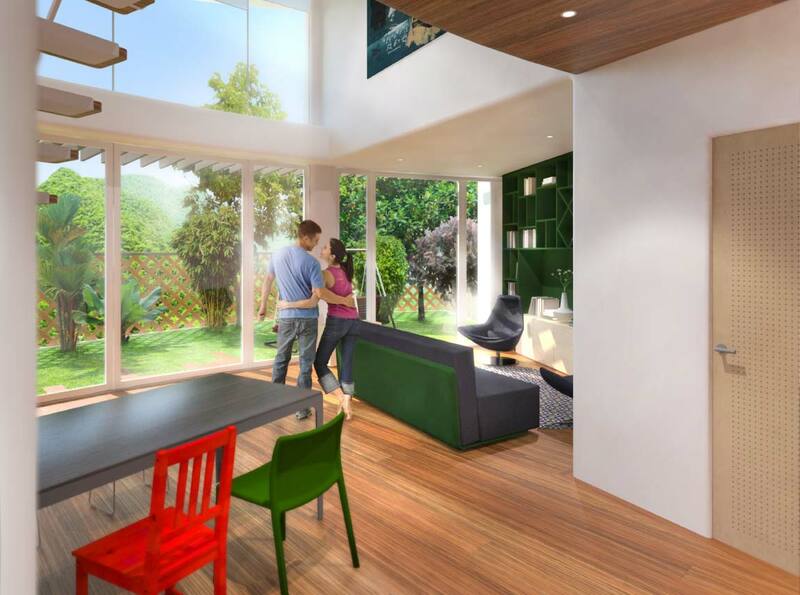 Boutique Design included private gardens for all apartments, creating what they call a “green envelope” for the tower. This is yet another big step into a more healthy living experience. The type B comes with two master bedrooms and two bathrooms to match the number. The flats are 1150 square feet modern tree houses and still, they’re offering a full 21st century comfort and fine living. 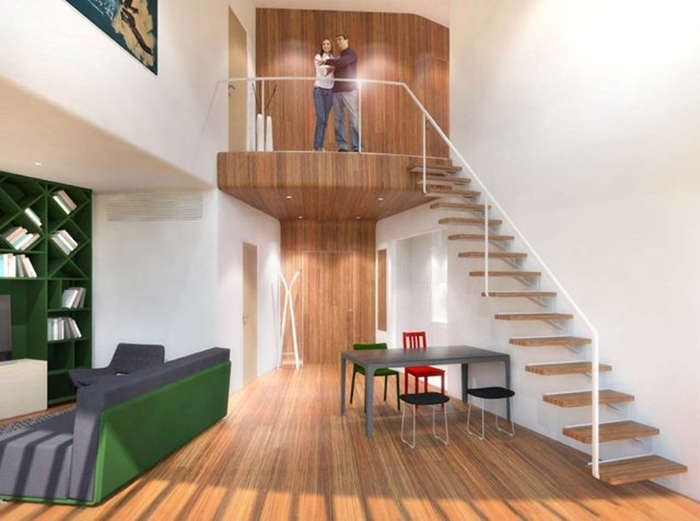 As you can see, the duplex layouts feature a high ceiling combined with big volumes. The interiors have a clean and modern feel to them. The view on the private garden is simply amazing, you have your own corner of nature to enjoy at any given time. Just imagine sitting out on your balcony in the morning, drinking your coffee and enjoying a bit of fresh air in the middle of the overcrowded concrete jungle. So what do you think about it ? 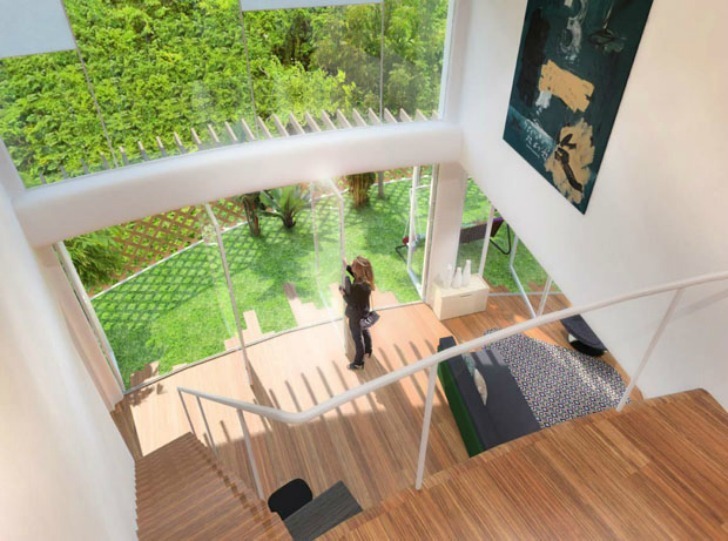 Would you like to live in a modern tree-house like this? For more information about the project, you can visit the Boutique Design Official Website. Let us know what you think about The Canopy Skyscraper In Honk Kong by commenting in the section bellow, and don’t forget to share this with your friends!